Amid the cornucopia of coffee shops in the Kirkland area, it can be difficult to find somewhere not flooded with Northwest students, or simply a change of scenery from the usual downtown Kirkland scene. 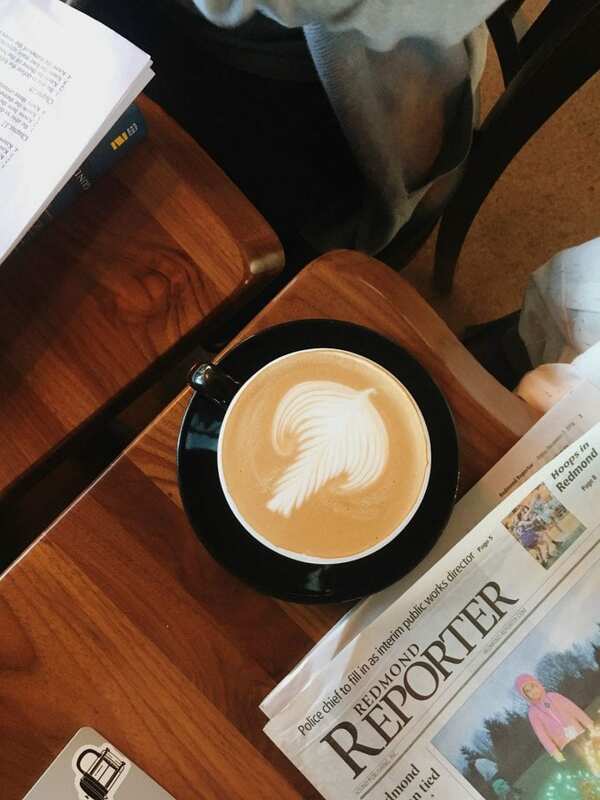 Although slightly farther, Redmond has a good selection of coffee shops for those bored with the normal choices. River Trail Roasters (RTR) in Redmond offers a quiet environment to work in, as well as a warm drink to fend off the increasingly frigid weather. While somewhat smaller in size than cafes such as Zoka and Rococo, River Trail has an attractive interior with a mostly-windowed exterior. There is a plush couch in front of a fireplace, providing an area of relaxation perfect for friendly conversation over coffee or tea. There are also what seem to be wooden church pews at tables for seating, and a bar facing outside with high stools to sit on. The menu is extensive, and offers a wide variety of options for even the most picky customers. The coffee is organic, fair trade and is roasted on-site; the coffee roastery can be seen through a sliding door off the main room of the café. River Trail flaunts organic, house-made syrups, chai, and egg nog with “no extra ingredients you can’t pronounce,” according to their website. While the menu lists the essential coffee drinks such as cappuccinos, lattes, drip, etc., it also features a separate list of flavored latte options and mochas. Tea drinkers will also appreciate River Trail’s extensive tea menu, and their display of loose leaf tea in large clear canisters behind the bar. They also have a variety of baked goods made locally and snack options in their display case, which allows customers to stay for a meal if needed. Their sandwiches are crafted in-house featuring home-made sauces, and include gluten-free, vegan, and vegetarian options. Pricing wise, RTR is fairly priced at $2.25 per eight-ounce latte or cappuccino, before additional syrups or milk alternatives such as almond, hemp, soy, rice, and coconut. Compared to Zoka, River Trail is priced around the same, if not a little cheaper. The coffee is well-made and very enjoyable, putting the café fairly high up among the list of the best coffee nearby. The environment, in addition to the drinks and friendly staff, makes the overall experience very warm and comforting. There are even board and card games available for customers to use. River Trail Roasters is an example of a piece of community and leisure among the fast-pace routines of everyday life.